In anticipation of the first training session, the ex-Victory stopper and ex-Jets striker have put pen to paper for the new club and will be unveiled at the first public training session being held today in Blacktown. Covic was one of the best defensive players in the league last season and will provide exceptional security to an already experienced backline. Haliti is noted as more of an attacking winger or second striker and has a return of one goal every 5 games or so. He is also known for picking up yellow cards for removing his shirt after scoring. The two signings continue the existing theme of picking up free agents with considerable A-League experience in order to have a competitive team from the opening kick-off. It brings Wanderers to a total of 9 players. The squad building work is far from complete and the club has yet to sign any foreign visa players. Western Sydney Wanderers have declared their first training session to be held tomorrow at the Blacktown International Sportspark will be open to the public. 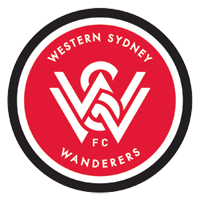 A press released on the Football Federation Australia website has declared the first training session to be public for all Western Sydney Wanderers supporters. 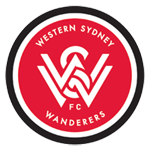 Western Sydney Wanderers has also declared that two new signings will be revealed at the training session. Fans will have the opportunity to see the squad train between 10 and 11am and also see the team unveil their latest two signings to compliment those they already have including Aaron Mooy, Mark Bridge, Michael Beauchamp, Kwabene Appiah, Tarek Elrich and Shannon Cole. I will hopefully be attending, schedule permitting. I encourage all who can make it to do so, as this is another historic moment for Western Sydney Wanderers and it's fans. I applaud the club for doing this, as well as one of our website members, @Taurus, who brought up the idea at the Western Sydney Wanderers club launch with CEO Lyall Gorman. Google Maps Link for Blacktown International Sportspark.